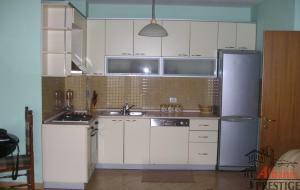 In a new and safe building offered for rent very nice and high-quality 3 bedrooms apartment with a surface of 200 square meters, located in Tirana's Skanderbeg Central Square. 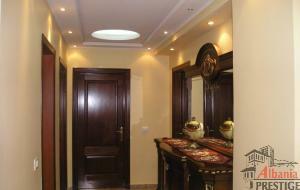 The building on which the apartment is located is the only that satisfy the standards regarding to the safety. The building is equipped with emergency staircase, fire alarm system, fire proof system, surveillance, construction practices to be earthquake safe, central and heating system as well as generator for emergency feed. Very nice one bedroom apartment is available for Rent, with a surface of 74sqm, located at “Gjergj Fishta“ Blv, here in Tirana. 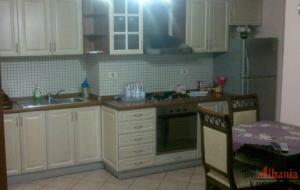 Offered for rent one bedroom apartment, with a surface of 83sqm, located in Rruga e Elbasanit here in Tirana. This property is a new construction, oriented to the North-West, based on the ninth floor with elevator, and comprises of a living room, a modern fitted kitchen with all appliances /eating area, one bedroom, one bathroom and a balcony with fantastic view. 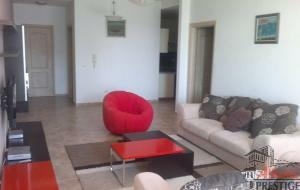 The apartment is totally furnished and offers nonstop water / electricity as well as air conditioning in all rooms. We are pleased to present three bedrooms apartment, available for Rent, with a surface of 180sq located in Rruga e Elbasanit, based on the third floors with elevator. This property is within few minutes’ walk from the city center, National Park and benefits from being close to all amenities. It consists of three bedrooms, a living room, open plan kitchen with all needed equipments, two bathrooms where one of them is with shower and the other is bath, hall, a balcony, a big veranda with great natural and city view as well as a parking space. 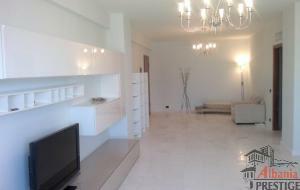 Offered for rent two bedroom apartment, with a surface of 105sqm, located in Rruga e Elbasanit here in Tirana. This property is a new construction, oriented to the North-West, based on the ninth floor with elevator, and comprises of a living room, a modern fitted kitchen with all appliances /eating area, two bedroom, one bathroom and a balcony with fantastic view. 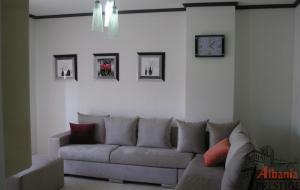 The apartment is totally furnished and offers nonstop water / electricity as well as air conditioning in all rooms. Very nice one bedroom apartment is available for Rent, with a surface of 60sqm, located in “Perlat Rexhepi “ Street, here in Tirana. This property is a new construction, oriented to the East-North, based on the third floor with elevator, and comprises of a living room, a modern fitted kitchen with all appliances /eating area, one bedroom, one bathroom and two balconies. 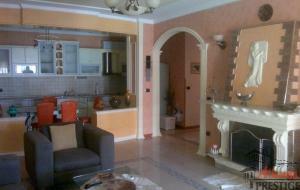 The apartment is totally furnished and offers nonstop water / electricity as well as air conditioning in the living room. In a safe and quiet residential area is offered for Rent very nice two bedrooms apartment, with a surface of 120sqm, located very close to the U.S. Embassy in Elbasan road, an area that is more preferred since all amenities are offered as well as excellent transport links. 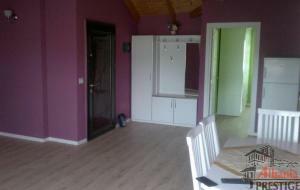 Available for Rent very nice two bedrooms apartment, with a surface of 120sqm, which is located in Street. Elbasani, making it perfect to benefit from all the local shops, bars , restaurants, pharmacy, banks, universities as well as excellent transport links.